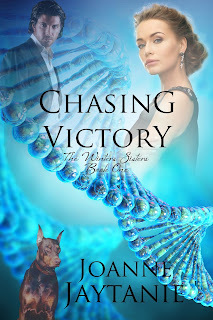 Please welcome author Joanne Jaytanie to our blog today. So glad you could join us. Joanne was born and raised in Sherburne, New York. She writes in the romantic suspense, as well as Paranormal and Contemporary romance genres. She submerges herself in the world of her characters, living and breathing their lives and marveling at their decisions and predicaments. 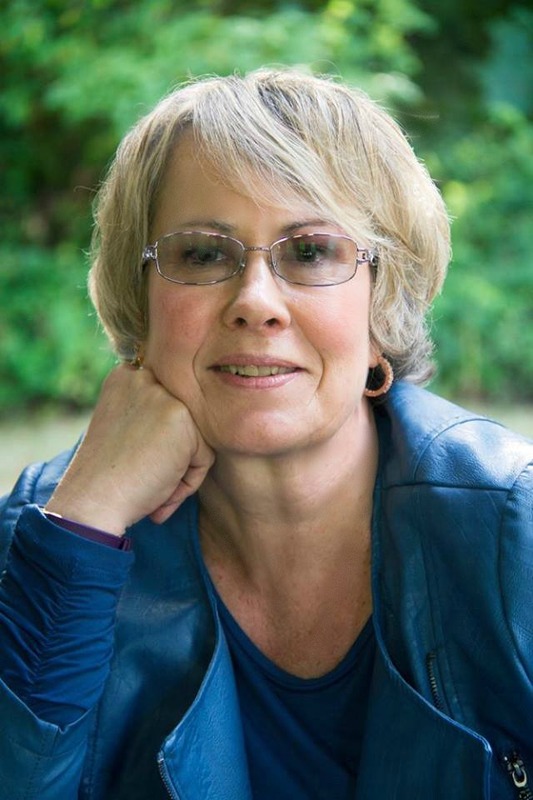 Joanne is a member of Romance Writers of America and Past President of the Peninsula Romance Writers, the latter being author Debbie Macomber's home chapter. Currently she resides in Washington State with her husband and beautiful doberman, Maya. She loves hearing from her readers and may be contacted at the links below. Joanne's novels are for mature readers of 18 years of age or older. Victory Winters is on the run. A world-renown geneticist, her mission involves conquering disease and improving quality of life. But, a co-worker has been murdered, putting Victory and her mission in danger. 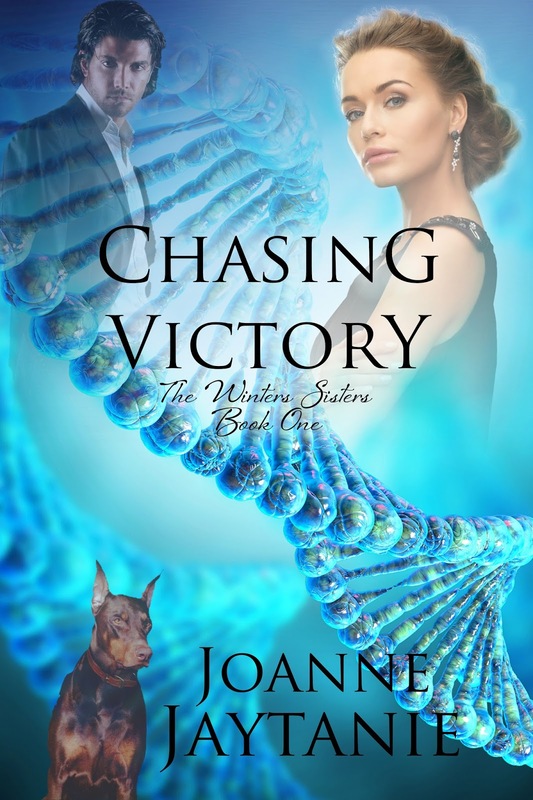 Chasing her are all sorts of men who want to recruit and control her, manipulating her genetic secrets and research for their own corrupt purposes. Naval officer, Tristan Farraday, is undercover investigating Biotec, a conglomerate that trumpets a better tomorrow in its bright, shiny annual reports. But, Tristan's bosses suspect that beneath Biotech's carefully managed exterior lies more than simple violations of a few experimental protocols. Farraday is following a trail of murder, kidnapping, and blackmail. The trail leads him to Victory, who's been forced into Biotec's world. Can Tristan chase down the truth and win the race for Victory? Please check out the other books in this amazing series. DON'T FORGET!!! Submit your guess for a chance to win a prize package from all of Our Author Gang authors.